It is with deep regret and sorrow that the Officers and Members of the Rombout Fire Company announce the passing of Honorary Member, William D. (Billy) Brooks Sr. on Tuesday, December 8, 2009. Bill was a charter member of the company formed in 1971 and was a founding member of the Board of Fire Commissioners of the Rombout Fire District. 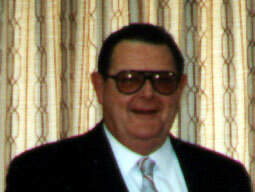 Bill was the longest serving Commissioner having served from 1971 - 1998. Sat 12/12 12PM at Fishkill Methodist Church, 38 Broad St.